There are a number of ways to enjoy the Mississippi in Inver Grove Heights and we’re here to help you #FindYourPark while you visit. If you’d like to take your boat out for a day or two, River Heights Marina offers day launch passes and transient dockage as well as season long slip rentals. Canoeists and kayakers can launch there as well! Twin City Marina offers seasonal slip rentals, as well as a ‘Land and Launch’ option for storing your boat on shore with an unlimited number of launches at their private ramp. Castaways Marina has slips for rent and a limited number for sale. Head to River Front Park if you’d like to cast a line but are lacking in the boat department. You can fish from shore at this small city park. This area is part of Pool 2 on the Mississippi River and boasts an above normal abundance of walleye, sauger and catfish (according to the MN DNR website when it comes to catfish you can find some ‘real whoppers’ in Pool 2). Be sure to check out the regulations at the MN DNR website. Swing Bridge Park offers a unique view of the river on it’s railroad-swing-bridge-turned-walking-pier. The 670 foot pier offers stunning views of the river and is a unique spot for photos, birdwatching or simply getting a little bit closer to the Mighty Mississippi. River Front park is a small neighborhood park on the Mississippi River that is another good spot to break out the camera, or to find a little inner peace as you watch the river roll by. 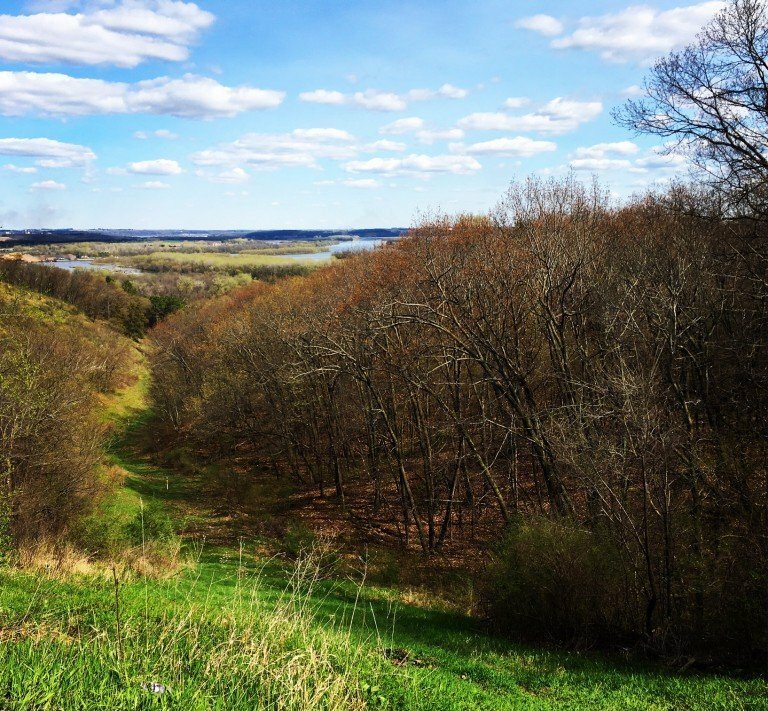 Managed by the Minnesota DNR Pine Bend Bluffs Scientific and Natural Area is 256 acres of largely undisturbed land with breathtaking views overlooking the river. Visitors are welcome to enjoy low impact activities there such as hiking, photography and bird watching. The Mississippi River is the flyway for 40% of North America’s waterfowl and 35% of its bird species, making it an ideal location for birding. Check out this informative map from Audubon for more information about birding in the Twin Cities. 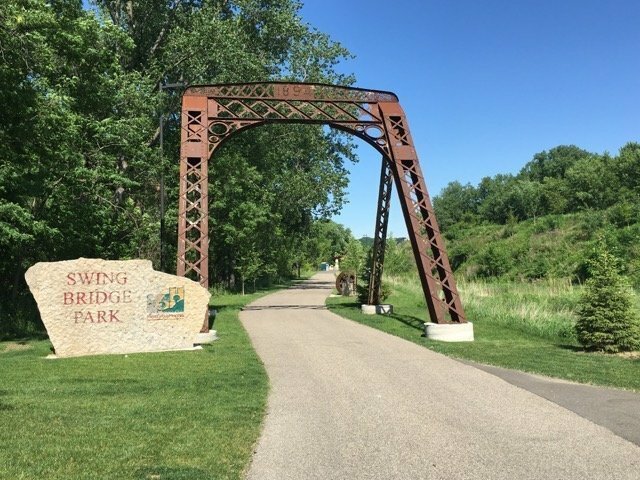 The Mississippi River Trail currently has two completed sections in Dakota county, from South St. Paul to the southern border of Inver Grove Heights and from Spring Lake Park Reserve to Hastings. 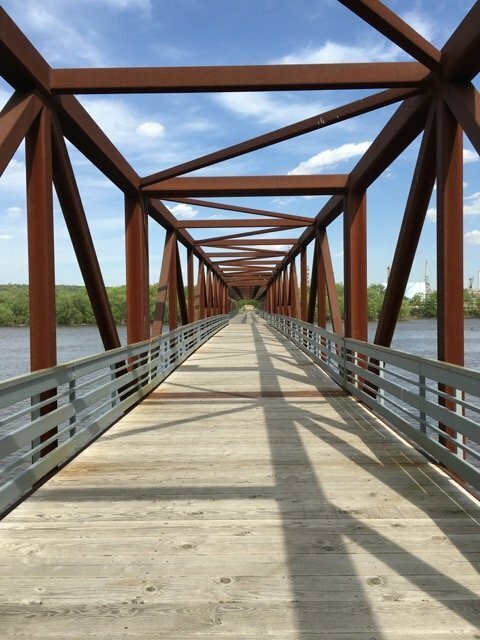 The trail is slated to be complete by 2019 and will extend along the Mississippi River for 27 miles from St. Paul to Hastings, with beautiful views of the river and connections to local trails and parks along the way. Swing Bridge Park offers a unique scenic overlook of the river, bathrooms, a bike repair station and picnic shelters among other amenities. 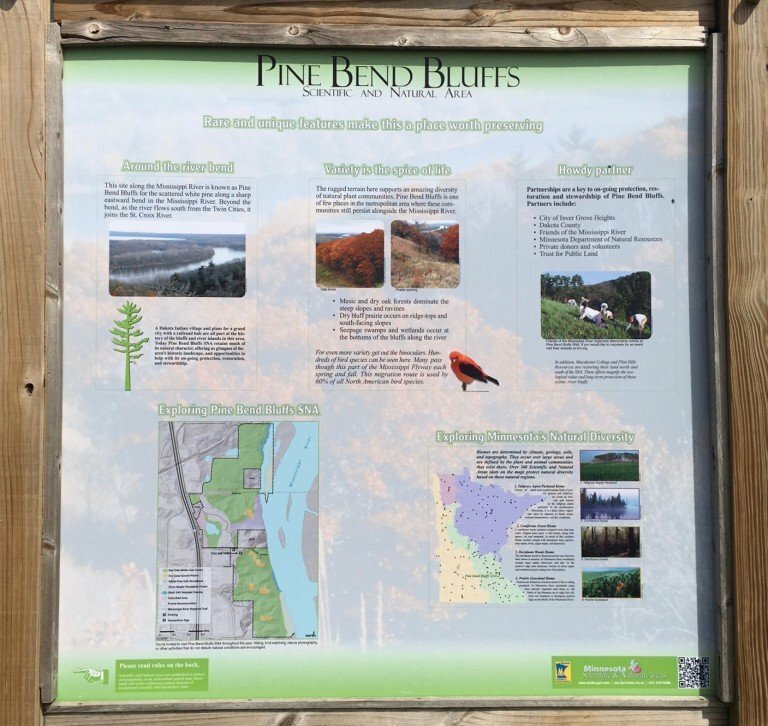 Pine Bend Bluffs is another worthwhile stop on the trail, with breathtaking views of the river below. No visit to the river would be complete without taking some time to kick back and enjoy delicious food and refreshing beverages. 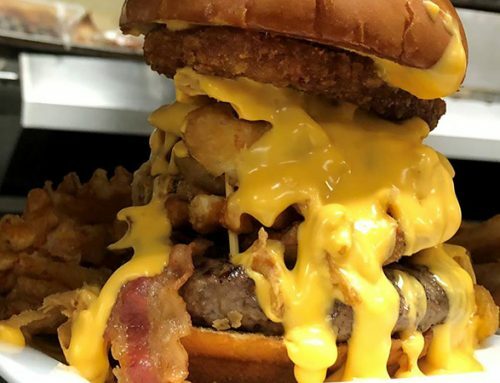 Mississippi Pub is open year round and offers a menu that is sure to please even the pickiest eaters. They have a great patio and frequently have local artists performing acoustic music on the patio in the warmer months. Overboard Bar and Grill is another riverside establishment offering beautiful views of the river. The laid back atmosphere makes it a perfect place to grab a burger and beer! Both the Mississippi Pub and Overboard Bar and Grill are accessible by land or by river with convenient docking at each location. 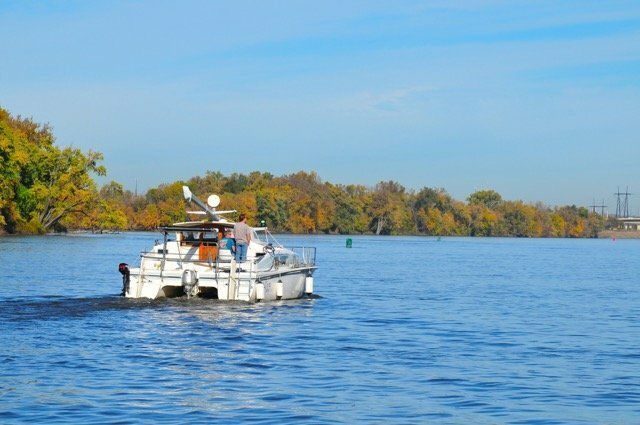 With scenic views and endless opportunities for riverside activities, put a trip to Inver Grove Heights on your calendar and experience the wonder of the Mighty Mississippi! Don’t forget to tag your photos with #VisitIGH and we may just share them on our social media! For more information about lodging options and hotel packages in Inver Grove Heights, click here.